"This 3rd edition of a well-known, famous textbook is to be classified as a book of highest competence and profound informative content. It combines a reference work for industry and research professionals with a classroom book for students and newcomers in this field of science and technology. This rich, ambitious scientific work is presented by AACC International PRESS in excellent design and print quality." Educators: Adopt this book for your course and qualify for deeply discounted student pricing! Please select the "Educators" tab below for student pricing and details. Principles of Cereal Science and Technology, Third Edition is completely updated and provides food science professionals and students the most thorough grain science information available. Much has changed in cereal science and technology since the second edition was published in 1994 therefore a total edit, update, and development of current views was performed as well as additions on important uncovered topics to create this new third edition. Each chapter was critically reviewed, updated, and reorganized to include current up-to-date material. 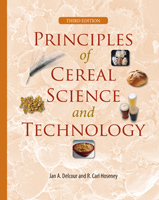 Principles of Cereal Science and Technology, Third Edition discusses the structure and components of the cereal grains in depth. In addition, the storage and processing of the various cereals into intermediate products (flour, semolina, starch, gluten) or finished products (bread, cookies, pasta, beer, breakfast cereals, and feeds) are described in detail. Enzyme technology and enzyme applications in cereal processing and cereal based food systems have advanced throughout the years. This new edition includes up-to-date information on specific starch and non-starch polysaccharide and lipid degrading enzymes, plus their day to day use to improve processing and/or final quality. Other changes in this third edition include: the view on starch rheological behavior, the introduction of the concept of enzyme resistant starch, current views on bread firming, and the relationship of pasta product quality both to raw material characteristics as well as to processing conditions. The book also includes a profound revision of the sections on gluten proteins and how their functionality in breadmaking is impacted by ascorbic acid, as well as new information on industrial gluten starch separation, and the effects of gluten proteins on cookie and cake quality. This book is essential for those new to the cereals area and is an excellent sourcebook for experienced professionals. Students will get a firm and broad background in cereal science. Professionals utilizing grain-based ingredients in food products or those with responsibility for sourcing, testing, or maintaining quality grains will find this new edition extremely informative and useful. Those with technical background but no training in cereals as well as those with a limited technical training can quickly come up to speed by reading this book. Customers inside the U.S.A. – May examine the book free for 60 days with no obligation to purchase. You will receive the book along with an invoice. If you choose to keep the book, but not adopt it for your class, simply pay the invoice. If you choose to adopt the book for your class, keep the book compliments of AACC Intl. PRESS when you write "Complimentary Desk Copy" on your invoice and return it with a photocopy of your bookstore order or bookstore requisition form for 10 or more copies of the textbook. If you decide not to adopt the book for your class and you do not wish to keep the book for your personal use, simply return the book in resalable condition with a copy of your invoice and write cancel on the invoice. Click here to request a 60 day review! Customers outside the U.S.A. – Request an exam copy of the book for 60 days. You will initially pay for the book and if you choose to adopt the book for class, e-mail or mail a photocopy of your bookstore order or bookstore requisition form for 10 or more copies of the textbook and AACC Intl. PRESS will issue a full refund for the book. If you decide not to adopt the book for your class and you do not wish to keep the book for your personal use, simply return the book in resalable condition with a copy of your invoice within 60-days of the order date and write cancel on the invoice. You will receive a full refund. 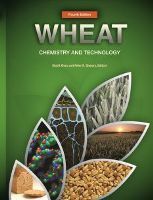 The first two editions have served as an adopted text for nearly 4,000 students in food and cereal science courses and the authors have applied their many years of experience in working with students to create the ultimate textbook in this subject area. You now have the option of accessing this book online through a subscription! For just $400 for the first year, and $60 for renewal (for single site)—you can access this textbook for your class! For more information, click here. To subscribe, click here.